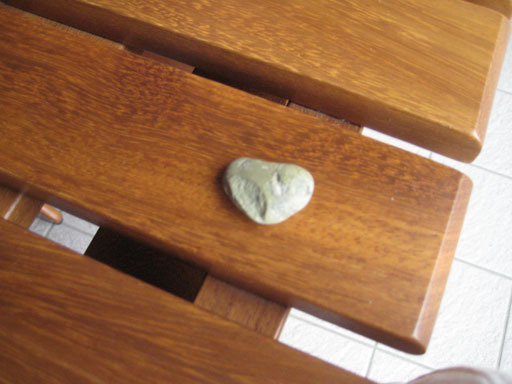 Dear Sara, my name is Alessandra, I visited your wonderful website for the first time in the summer of 2009, after a trip to Egypt, where I took pictures of some orbs, together with my twin sister. At the time we had sent you some pictures taken in Egypt and back home, and you confirmed the “presence of Love” for us. Now there are other “events” that I would like to submit to your attention. Five and a half years ago I lost my beloved husband due to an incurable brain tumor. He was only 36 and he was my whole life. The pain and the Calvary of the last few years brought me to seek out reading material about hope, about the existence of the Other side and of Angels, and I found Your site. 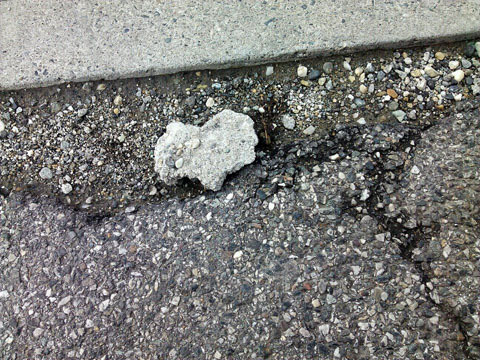 Since December 2011, after a desperate but very specific question to the Universe, regarding my future, if I find my much desired normality again, a love and a little serenity, I started bumping into a lot of HEARTS, which materialized in front of my eyes even when I was not thinking about anyone in particular. 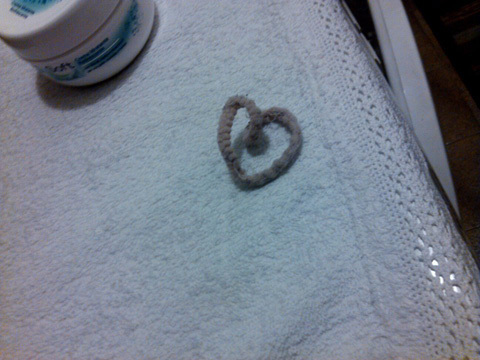 Rubber band for my hair, on top of my mother’s washing machine. 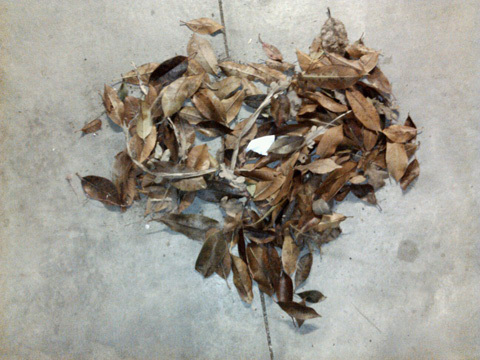 a perfectly shaped heart made of leaves, I could not believe my eyes: I was sweeping some leaves from the front of my garage, I was in a hurry, I was doing it very quickly since I was running late. 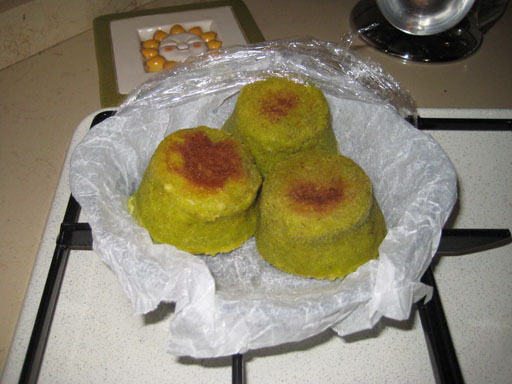 I received some beautiful hearts in my food: often my mother would prepare it, she adored my husband when he was alive and still adores him now he is absent. I believe he is sending them for her also. 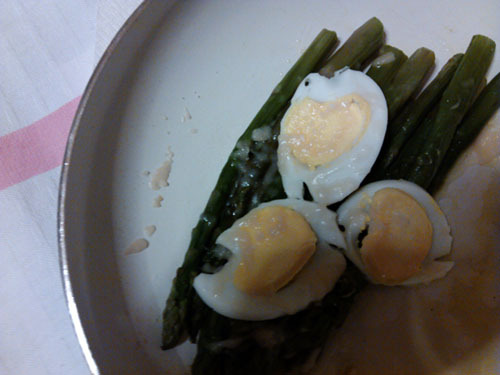 Look at the boiled eggs, I am almost 42 years old and I have never seen eggs this shape. Here is a small baked cheese tart: after having taken it out, the first one seemed to be heart shaped, but I did not take notice, I was tired, I just wanted to be done with it…. I take some baked tarts out of the oven, only one of them is not heart shaped …. Dear Sara, on this specific desire I would love your opinion: I don’t know …. 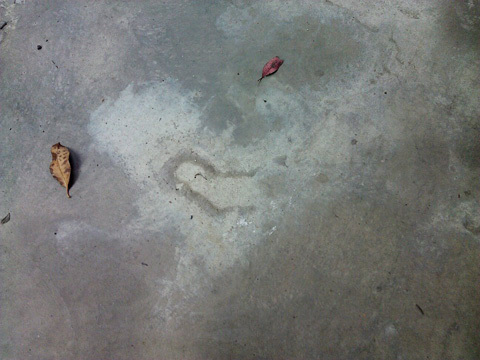 I had arrived at my underground parking garage, I step out of the car to open the gate, as usual I see this stain on the floor: my eyes are attracted to it and I look at it, and I study it perplexed: it looks like a heart with a letter R inside it, reversed to the left…. My husband used to be called, actually he is still called “Romualdo”, the name of his grandfather…. He passed on 24th October 2006, just like his own grandfather a few years earlier… Coincidence? I think not…. After a few days, the Saturday before Easter, my father in law calls me on the phone, following almost six years of complete distance and many problems between us. He wanted to say hello … I talked to him in a friendly way …. And in the following days …. It was a deluge of hearts …. 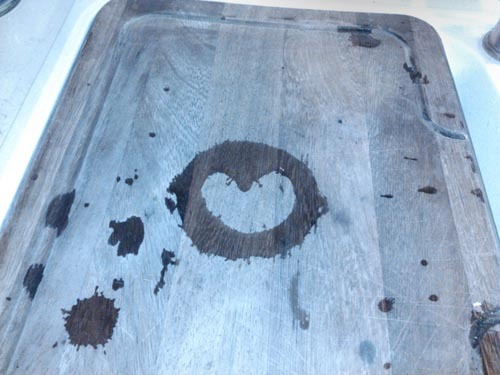 On the chopping board in my kitchen, after having put there a bottle I had just washed. To date I continue to receive hearts, especially after difficult days … and this makes me calm. I feel I am a privileged woman, because of the discoveries I made, thanks to a pain so great as the loss of my husband, however now I live with many more certainties. I will also feel privileged if you will published some of my hearts on your splendid website, even all of them if you like, you can even put our names: Alessandra and Romualdo, Love never ends. I have no words to thank you, what you do is wonderful, the help and comfort you bring to those who suffer from the loss of loved ones is impossible to quantify. The infinite light of God loves you and adores you.